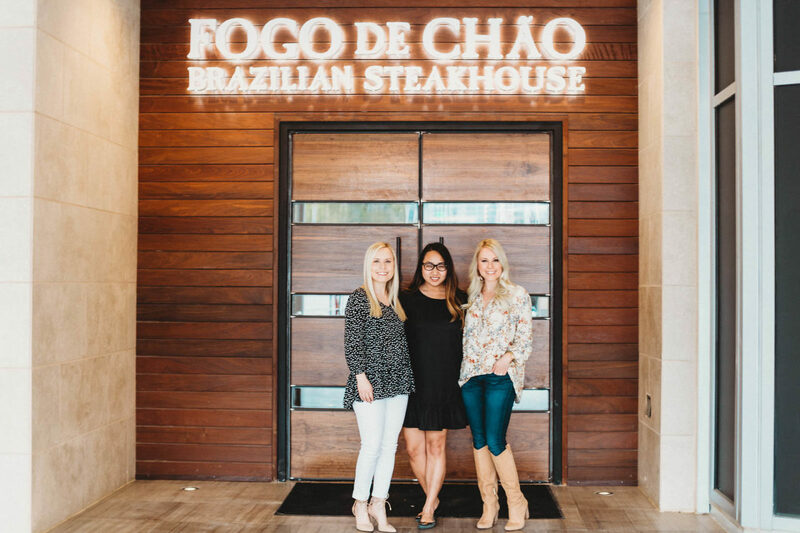 Fogo de Chão recently opened a new location in the middle of the bustling Uptown neighborhood of Dallas. 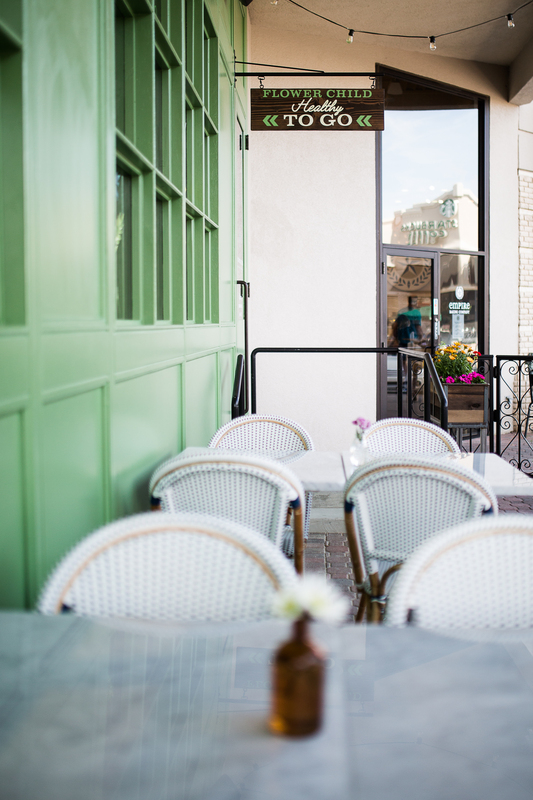 The restaurant is situated on the ground floor of the chic One Uptown luxury high-rise development at the corner of McKinney Ave and Routh Street, making it an ideal location for happy hour cocktails, weekend brunch, or a festive dinner. 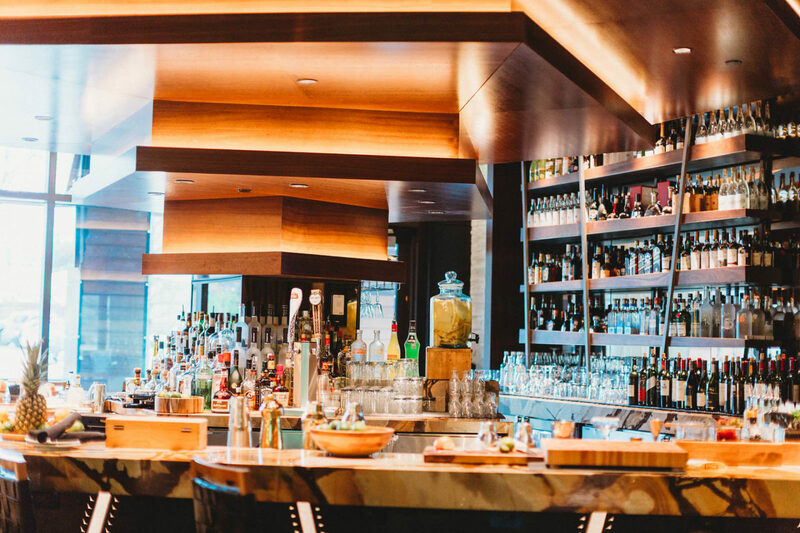 We were excited to scope out the beautiful new space and to indulge in dinner at the Brazilian-style steakhouse known for its focus on churrasco style prepared meats. The large, inviting space is flooded with natural light from the floor to ceiling patio windows that nicely balances the rich interior and striking architectural details. 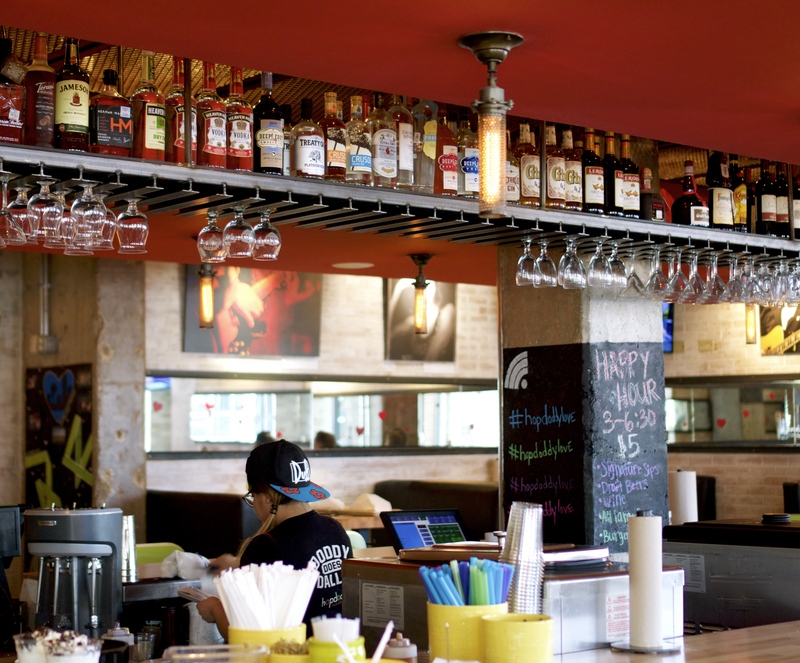 The restaurant has an enticing cocktail menu, including craft Caipirinhas featuring cachaca, the native spirit of Brazil, and a variety of other Brazilian inspired cocktails, like the Flor de Fresca and the Brazilian Gentleman. 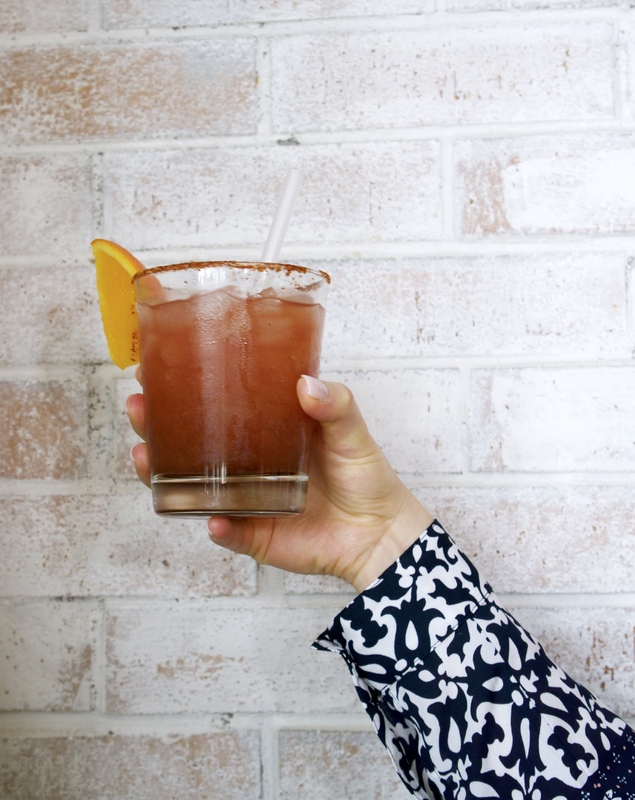 We opted for a Strawberry Hibiscus Caipirinha made with Hibiscus-infused cachaca, muddled strawberries, and lime and a Passionate Caipirinha crafted with Silver cachaca, passion fruit, lime, and sugar cane. 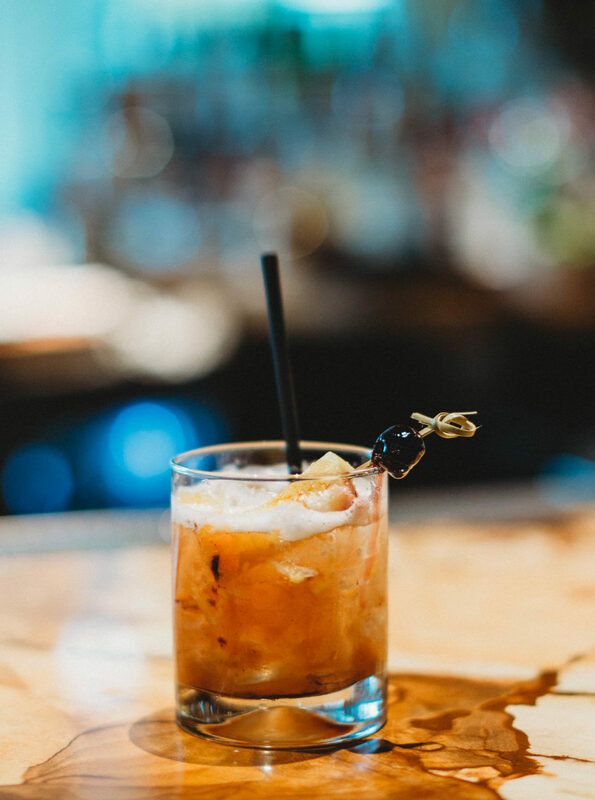 Our husbands enjoyed the Caramelized Pineapple Old Fashioned crafted with Bulleit Rye Whiskey, muddled caramelized pineapple, orange, and Luxardo cherry served over ice (pictured below). Fogo de Chão’s bar menu also features a number of delicious appetizers and small plates that are perfect for sharing while socializing and imbibing a Brazilian inspired cocktail or two. We enjoyed the Jumbo Shrimp Cocktail served on ice with a spicy Malagueta Brazilian cocktail sauce, which gave the dish a nice twist on your classic shrimp cocktail. The Crispy Parmesan Polenta Fries were also worth trying. 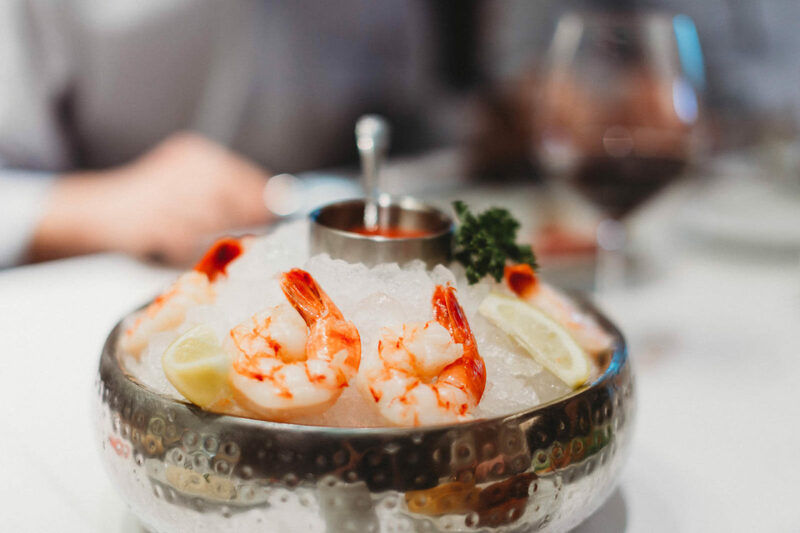 In addition to the amazing meats that Fogo de Chão is known for, we were pleased by the variety of fresh and seasonal options offered at the restaurant’s centrally located Market Table. The seasonal Market Table includes a wide variety of fresh dishes made from mainly vegetables and fruits inspired by the Brazilian farmlands and traditional recipes. The Market Table also offers charcuterie and antipasti options, including black pepper candied bacon that’s not to be missed. It’s hard to not fill up on the tempting appetizers and Market Table offerings, but you must remember to save room for the main event – the meat! 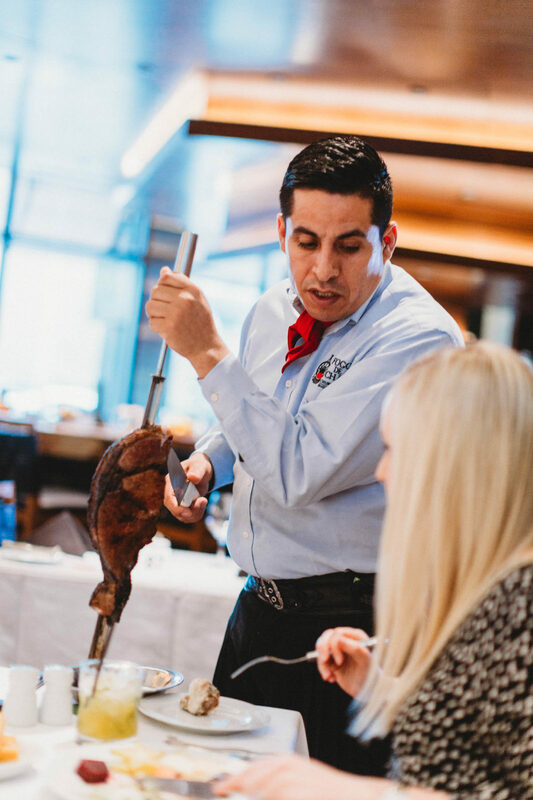 Fogo de Chão is a churrascaria after all, well-known for its use of the traditional gaucho method of cooking meats in a “churrasco” style by roasting them over an open fire to create delicious perfection. 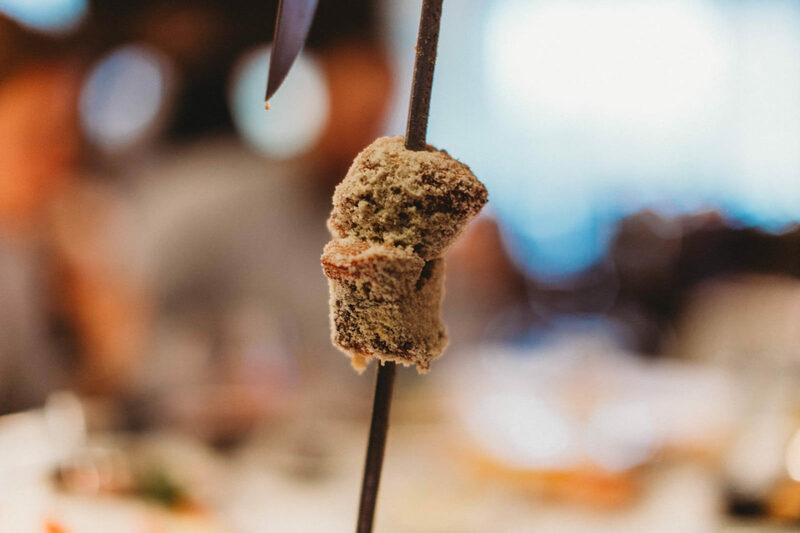 Throughout our dining experience, servers constantly appeared table-side with large spears of tantalizing cuts of roasted meats, to include steak, pork, chicken, and lamb. Our favorite meat was the pork medallion coated with Parmesan – a must try! We also loved the Filet Mignon and the Picanha, which is the prime part of the top sirloin and is Fogo de Chão’s signature steak. This restaurant is truly a meat-lover’s paradise and if meat is what you came for, you will definitely leave fully satisfied. If you somehow manage to save room for dessert, Fogo de Chão offers several traditional desserts as well as Brazilian inspired options that are unique and worth a try; for example, the Papaya Cream, which is made by blending fresh papaya with vanilla ice cream and topping it with a black currant liqueur. We especially loved the South American Flan made with rich vanilla custard and topped with sweet caramel. 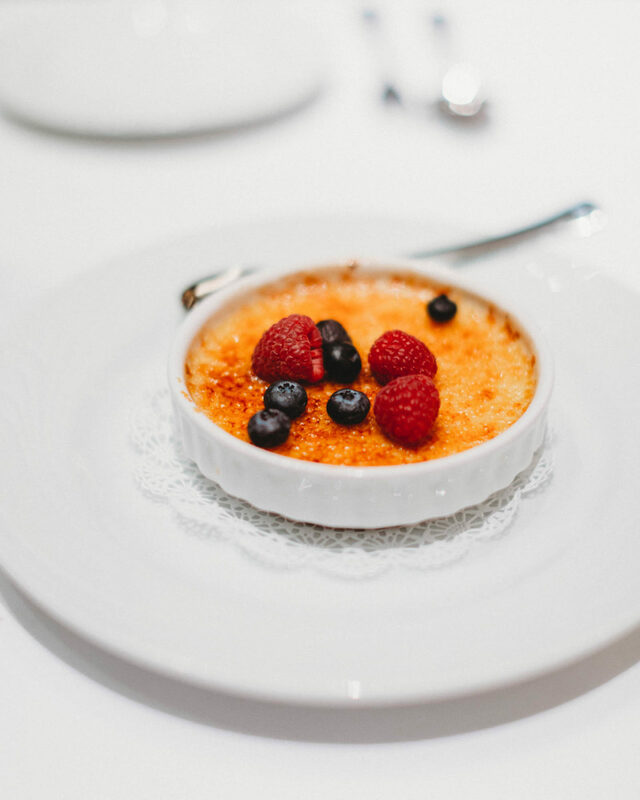 The Creme Brulee, pictured below, is also always a good option for those feeling less adventurous. Overall, the food was delectable and well-prepared and the service was impeccable. Our mouths are watering as we reflect on our memorable meal shared with our husbands and good friend, Stephanie Drenka and her husband Holden. 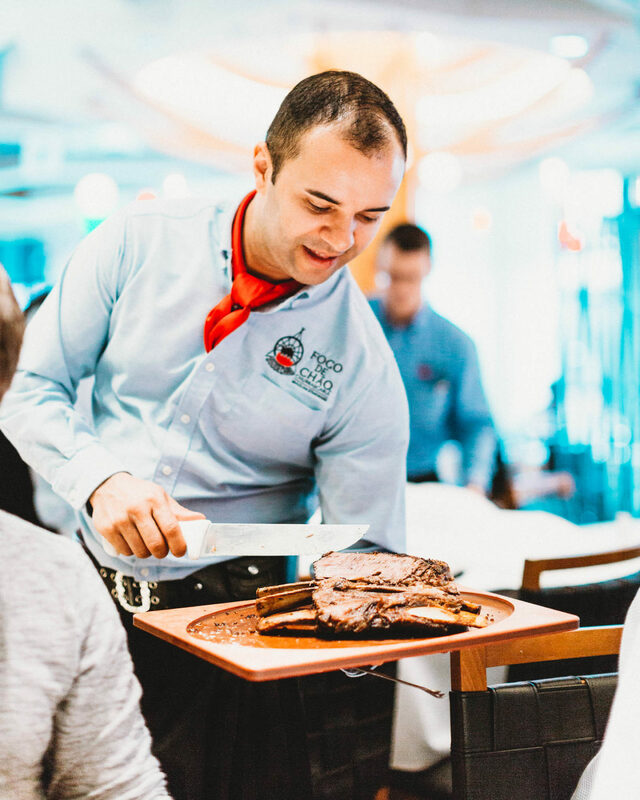 If you’re looking for a dining experience out of the ordinary that will truly impress, Fogo de Chão is the place to go! 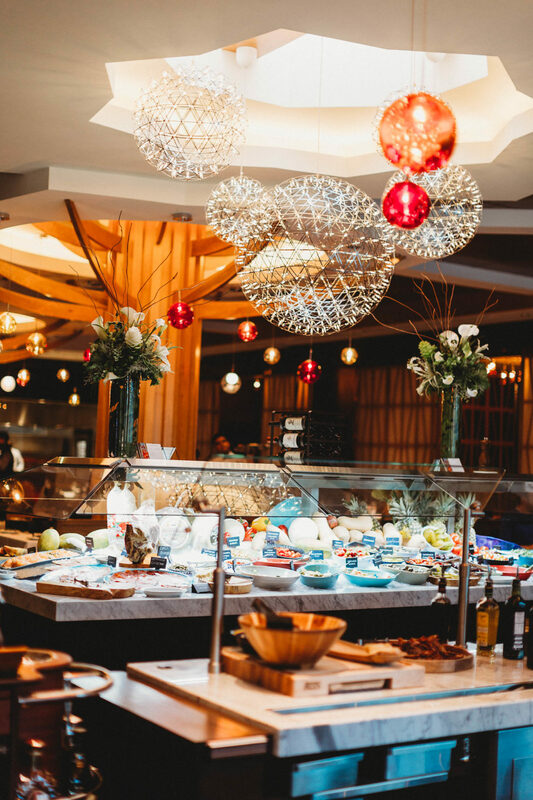 You’ll be transported on a culinary adventure ignited by the tastes of authentic Brazilian cuisine and elevated by top-notch service. 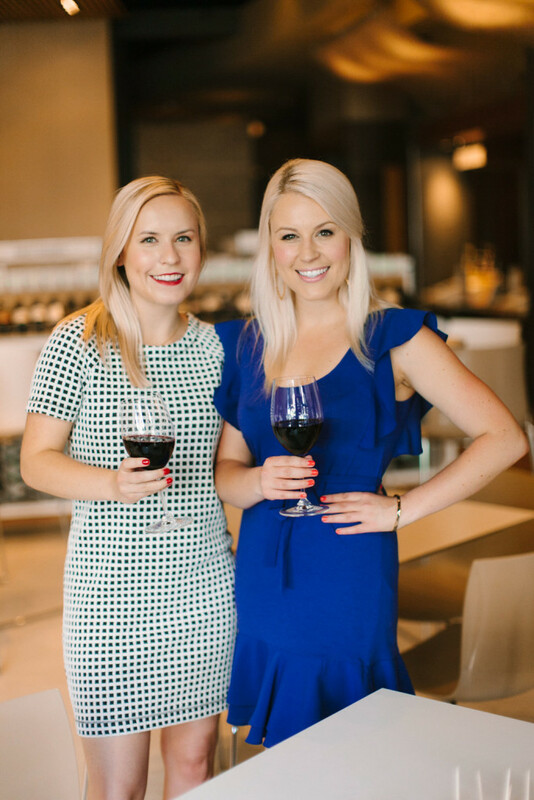 Thank you to Fogo de Chão for treating us to a complimentary meal for this post! All opinions are our own. Be sure to check out Stephanie’s recap too! 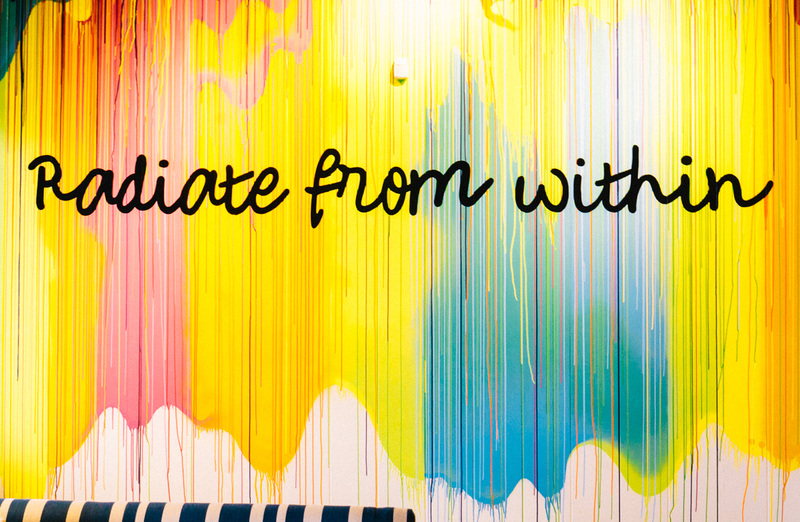 Also, photo credit goes to Stephanie Drenka for the amazing pictures contained in this post! 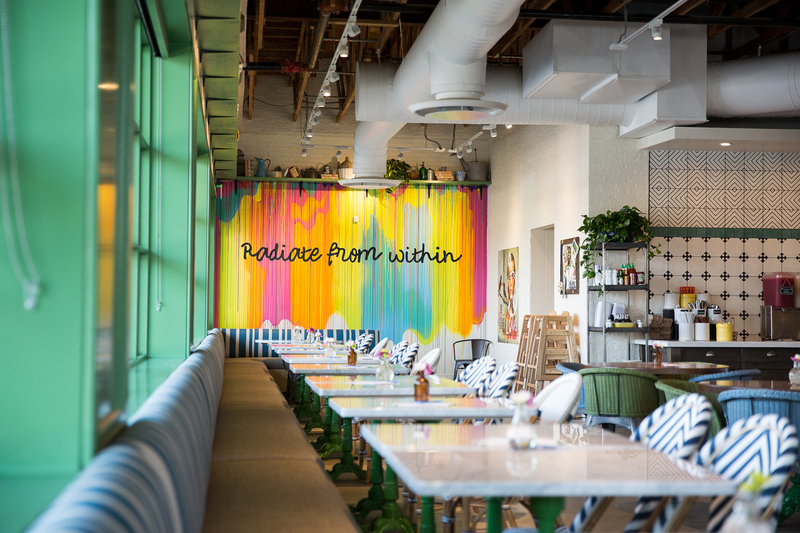 Flower Child: One of Dallas’s Healthiest Places to Eat! 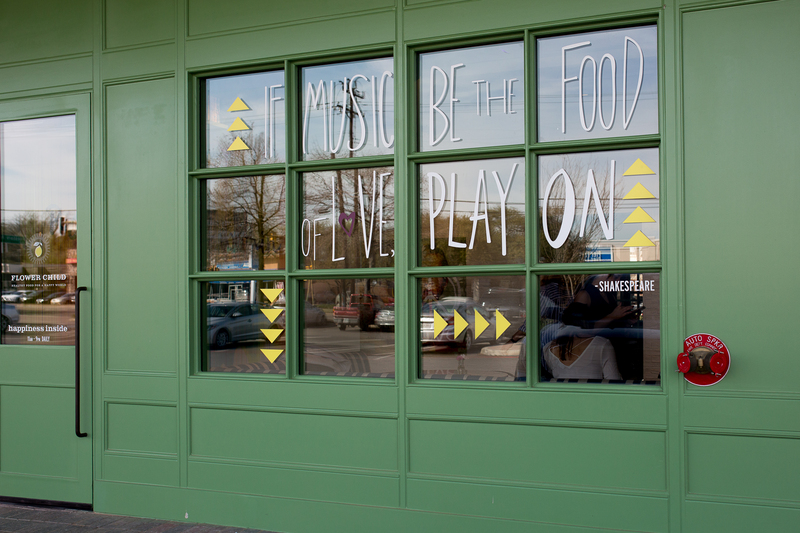 Flower Child is a healthy, happy, fast-casual restaurant that’s filled with lots of good vibes! 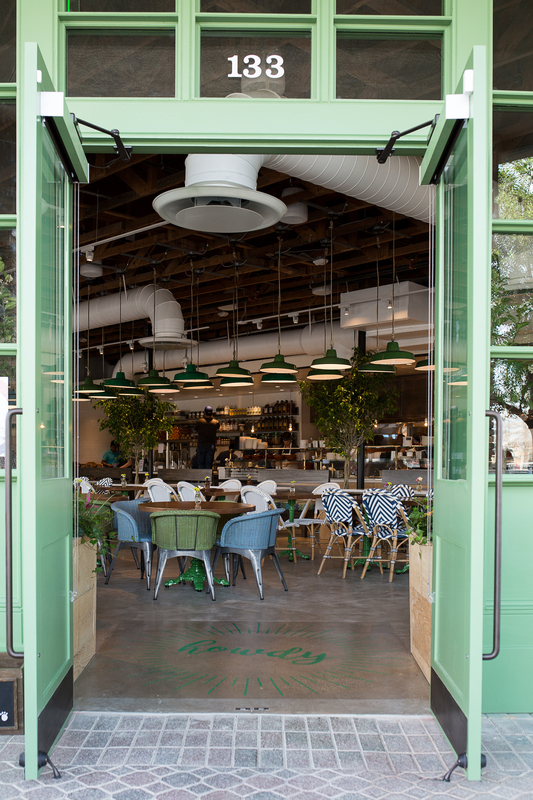 Looking for yummy, nutritious food in a super cool modern bohemian setting? 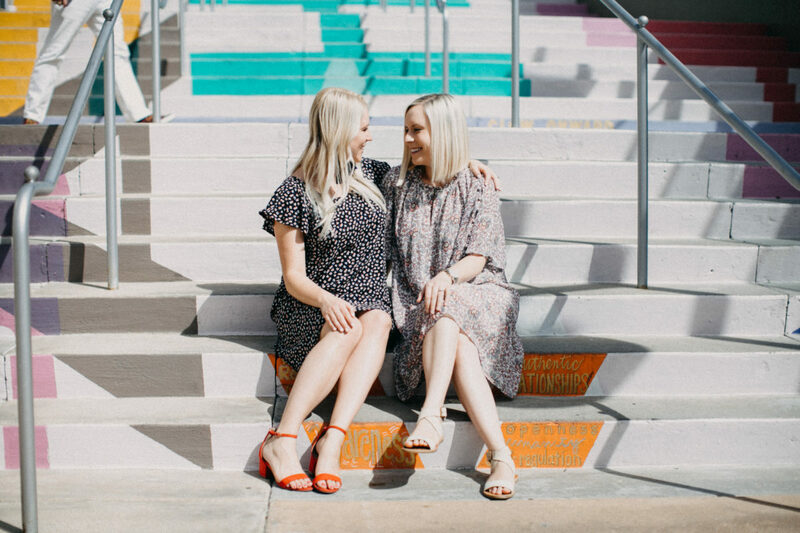 Flower Child is your new go to spot! Also, just picked up this fun bell sleeve lace top from Neiman’s Last Call for only $59! A buzzy open kitchen exudes energy throughout the space, where guests can watch as chefs swiftly prepare their order. 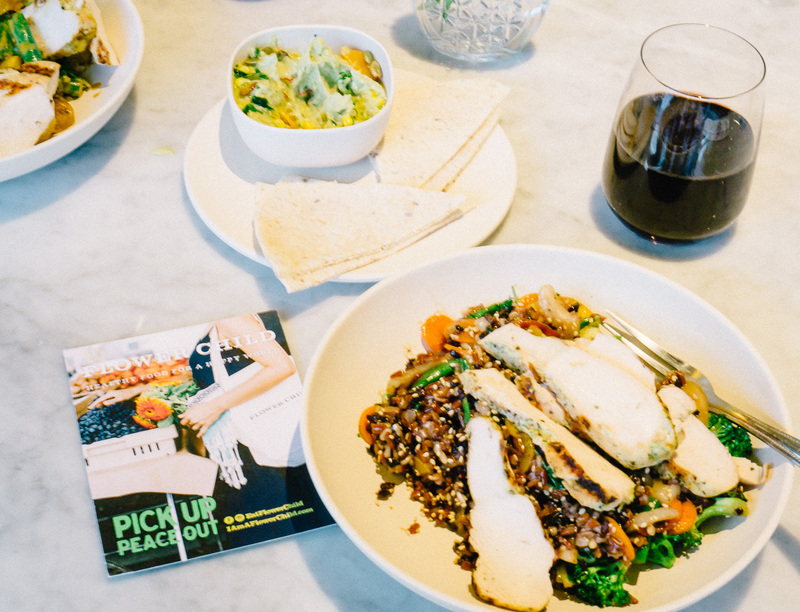 Additionally, on-the-go guests are served via a dedicated area designed to pick up a quick, fresh meal with ease. 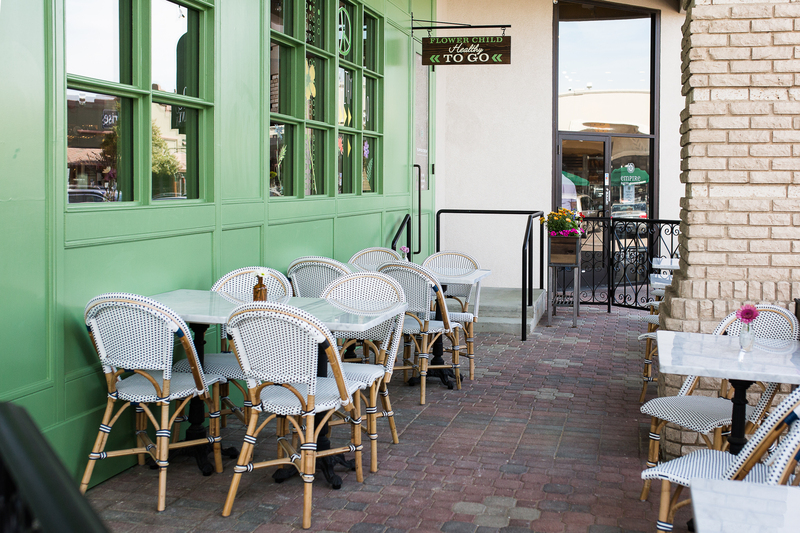 We love their outdoor patio that’s also dog friendly! 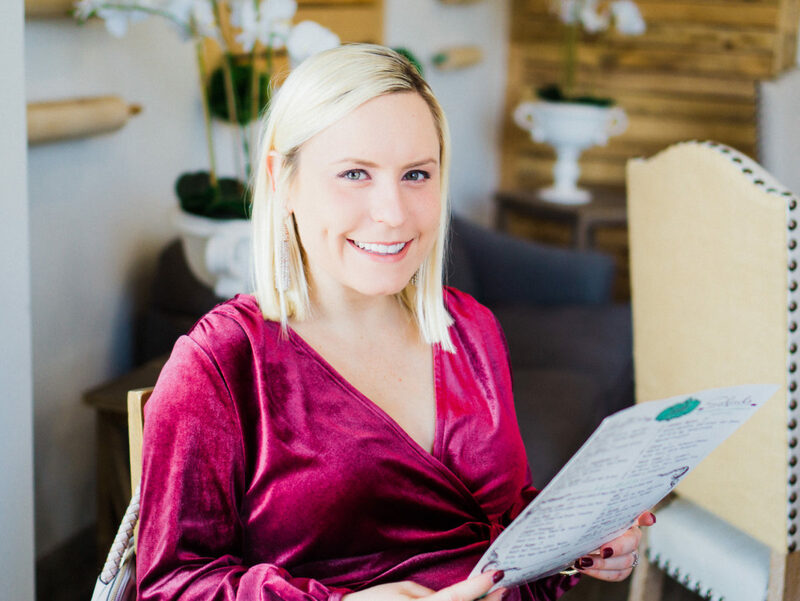 The Flower Child menu offers a healthy and balanced dining experience with a selection of organic, gluten-free, vegetarian, and vegan items for lunch and dinner seven days a week. 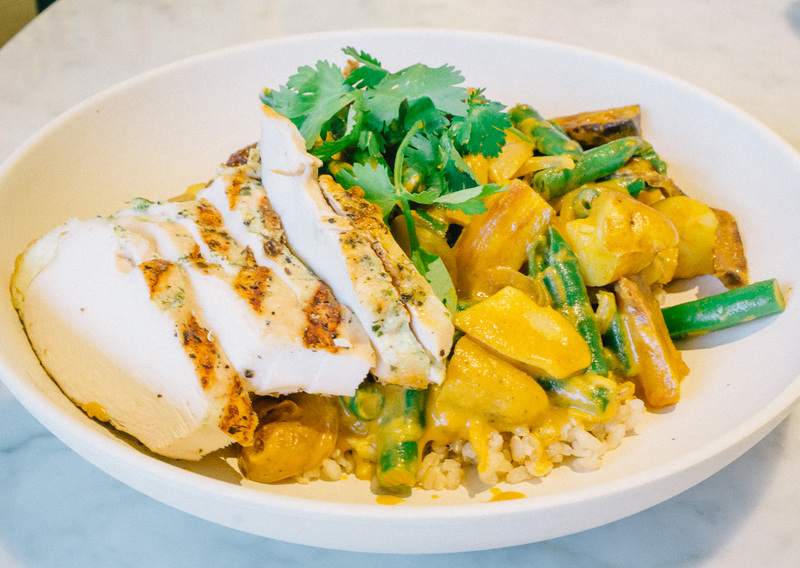 Much of the menu is mix-and-match style, allowing you to select your favorite combination of seasonal vegetables, fruits, and grains from items We loved the Forbidden Rice Bowl with Organic Chicken and the Coconut Green Curry Bowl. Flower Child also offers a variety of salads like the Organic Kale (pink grapefruit, organic apple, black currant, smoked almond, white cheddar, and apple cider vinaigrette); bowls like the Mother Earth (with ancient grains, sweet potato, portobello mushroom, avocado, cucumber, broccoli pesto, leafy greens, red pepper miso vinaigrette, and hemp seed); whole grain pita wraps baked in-house daily like Flying Avocado (with smoked turkey, gouda, romaine, tomato, and avocado hummus); gluten-free desserts; and ever-changing iced tea and lemonade, with flavors rotating seasonally. The pictures that follow were taken by the awesome people over at Thirty 7 Degrees! Flower Child blooms on every level – inspired flavors, rich nutrients, and quick preparation. 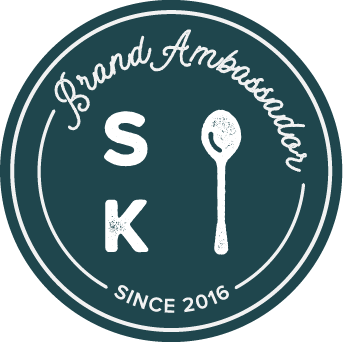 It’s a concept that revolutionizes the way we eat. In particular, the way we eat out. 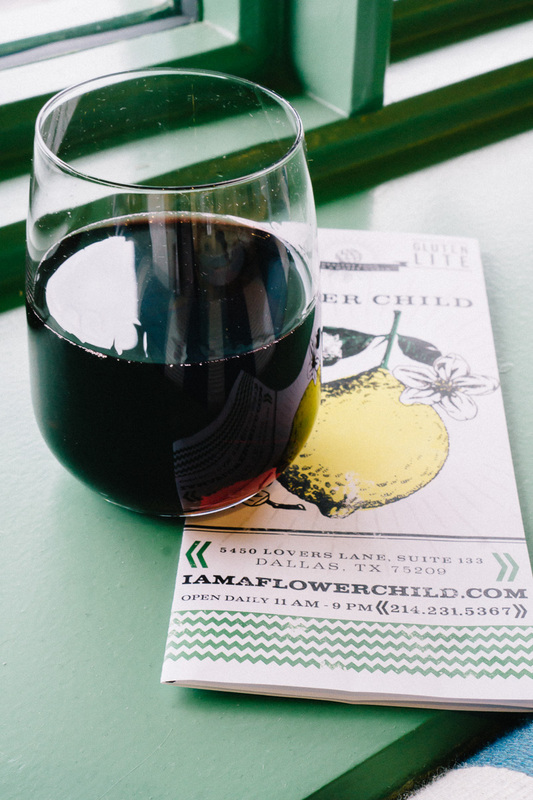 For more information, please visit www.iamaflowerchild.com or follow @eatflowerchild. 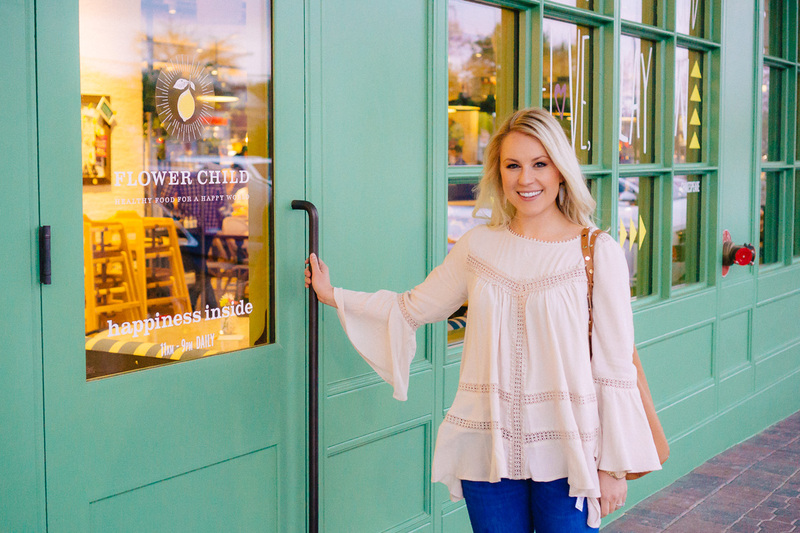 Monday to Sunday from 11 a.m. to 9 p.m.
Have you been to Flower Child yet? 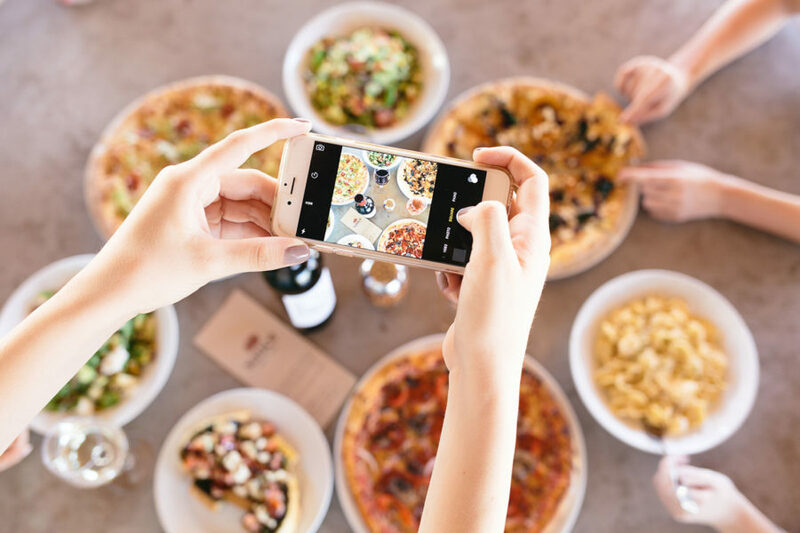 Let us know your favorite items off the menu in the comments below! Hopdoddy is all about gourmet burgers + craft beer and cocktails. So naturally, we’re 100% in! Hopdoddy’s all-natural burgers are made with meat ground in-house, freshly baked buns and are best served with a side of hand-cut fries! Are your mouths watering yet? Good! Ours are too, even just writing this and reminiscing on our fantastic, celebratory birthday lunch! When we walked through the door right off of McKinney Avenue in Uptown, Dallas, we smelled the sweet delicious smell of the buns baking in the oven! 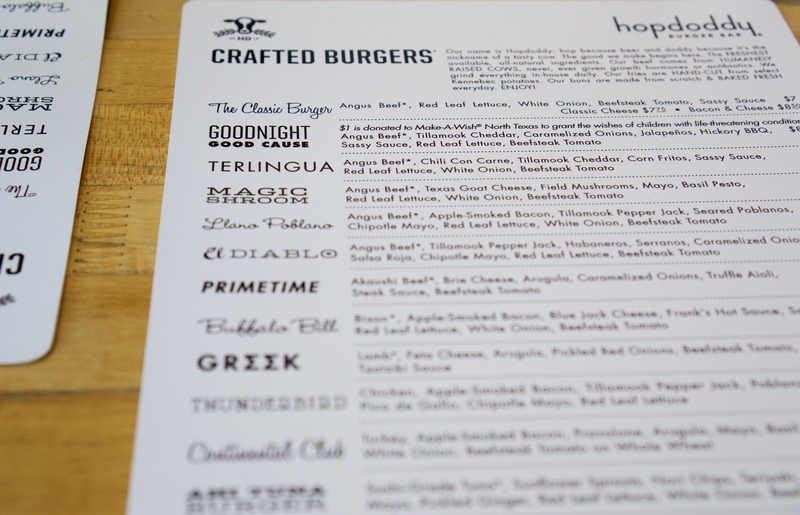 Started in Austin, Texas, we’re thrilled that Hopdoddy has not one, but two locations here in Dallas. 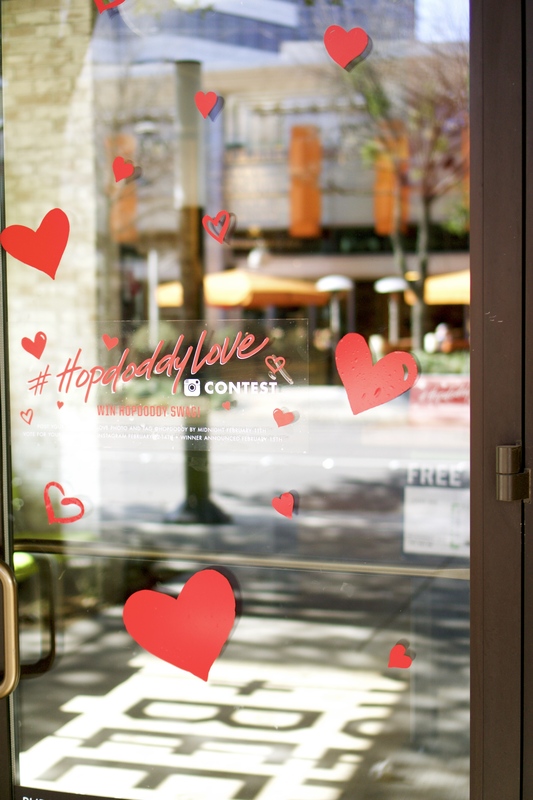 Also, many of the Hopdoddy locations don’t have waiters, so it’s a great perk that the Uptown location is one of the few to offer full-service! We have to brag on their service as well, our waiter was fantastic and the manager stopped by our table as well to see how we were doing and if our food was cooked to our liking. Very nice people! 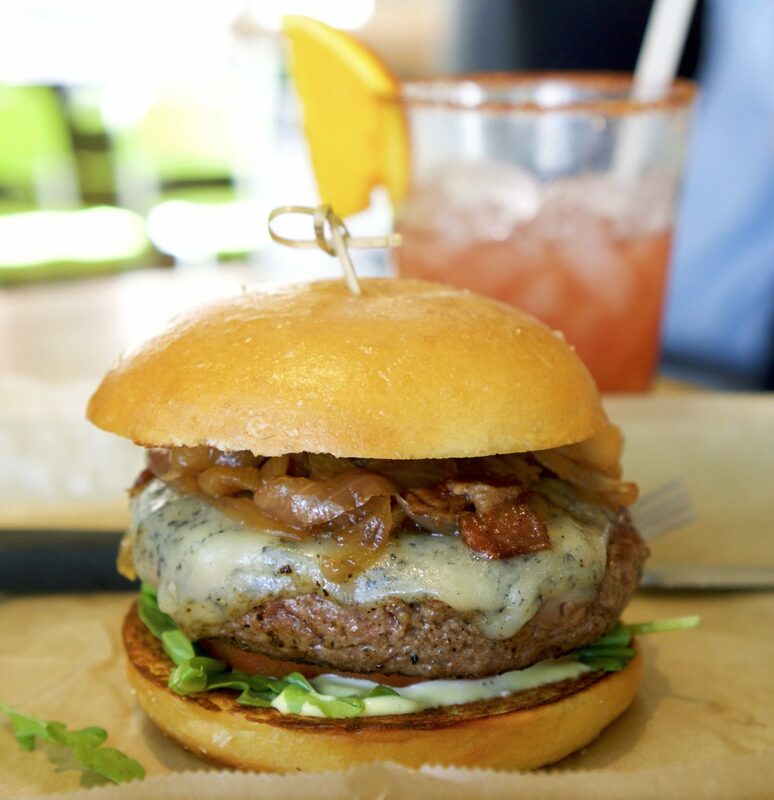 Hopdoddy prides themselves on using the FRESHEST available, all-natural ingredients. Their beef comes from humanely raised cows that are never given growth hormones or antibiotics. And perhaps most importantly, their burgers are absolutely drool-worthy! Also, did you know that Hopdoddy offers some excellent healthy alternatives to its chili, cheese and bacon covered burgers?! 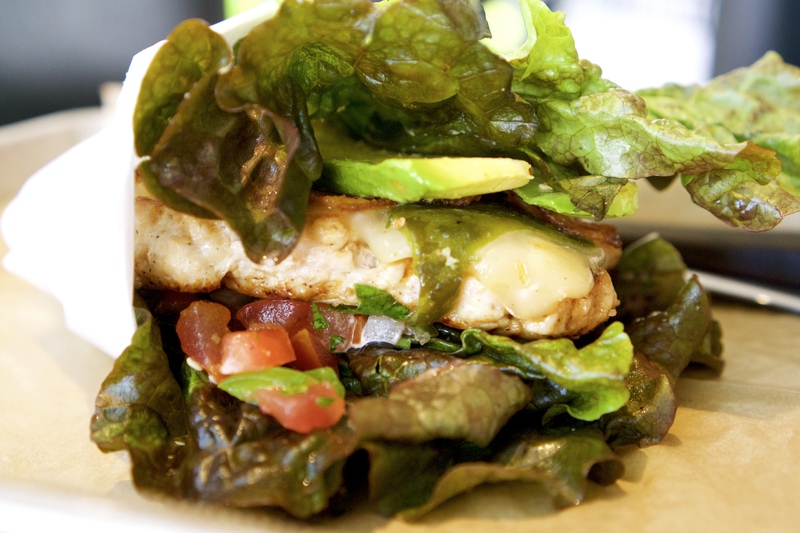 If you’re wanting something on the lighter side, try out one of Hopdoddy’s healthy alternative burger protein options such as tuna (our personal favorite), chicken, low-fat bison, and black bean veggie burgers along with an impressive lineup of fresh salads! Another option to lighten things up a bit is to add a burger patty to a salad for an extra protein boost or have your burger wrapped in lettuce instead of a bun if you’re watching your carb intake. All that being said, their buns are made fresh daily and taste fantastic! 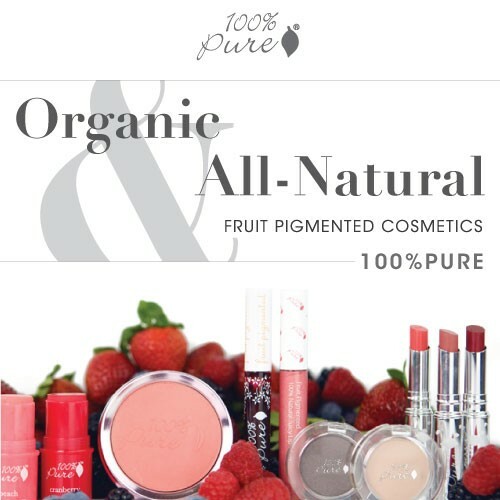 Well worth the splurge in our opinion. 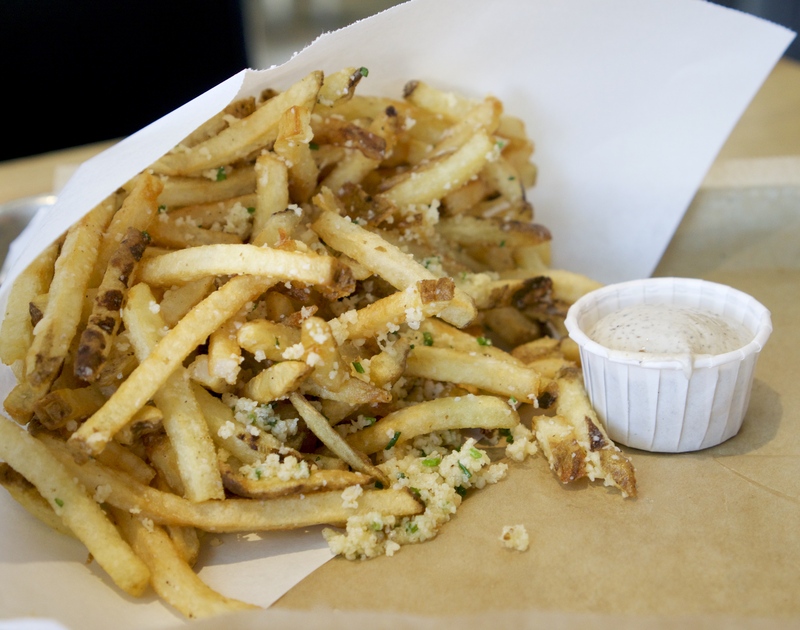 Parmesan Truffle Fries with Truffle Aioli – The fries are hand cut from the famous Kennebec potatoes. Nutella & Chocolate Pretzel Milkshake – Our waiter told us that this shake is literally a gift from God and we completely agree! 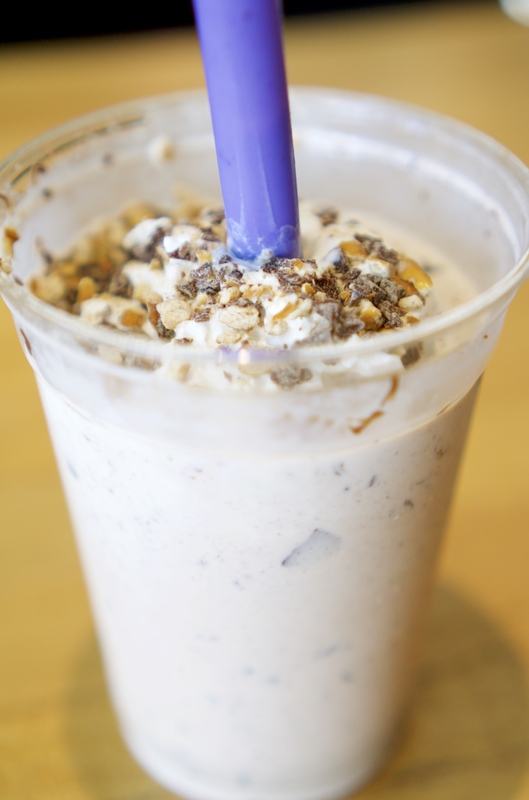 It’s literally the BEST milkshake we’ve ever had! 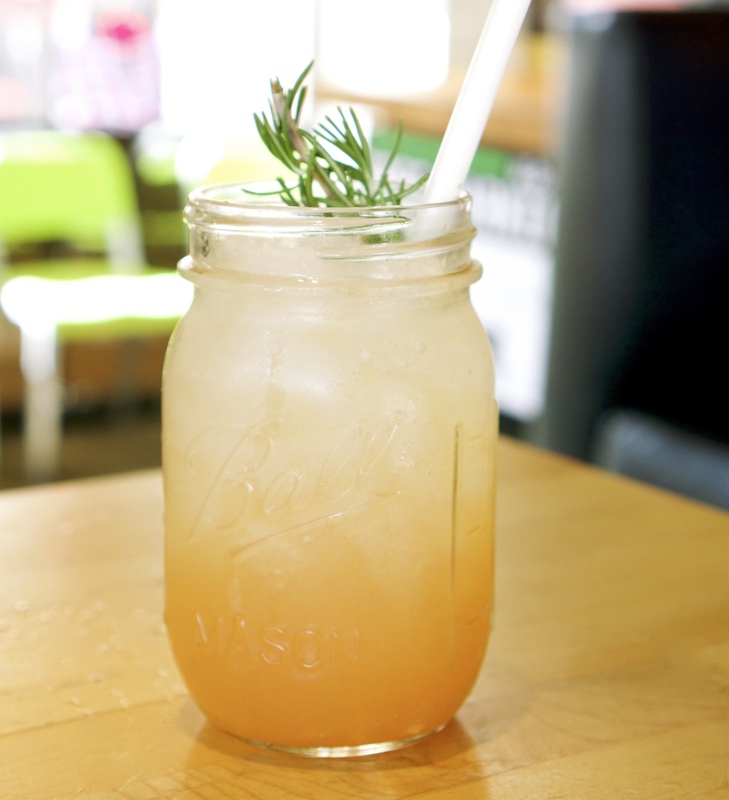 They offer tasty seasonal cocktails and currently are serving up a refreshing Paloma topped with rosemary! We heard that the next cocktail is most likely going to be a Cilantro Jalapeno Margarita. Yum! 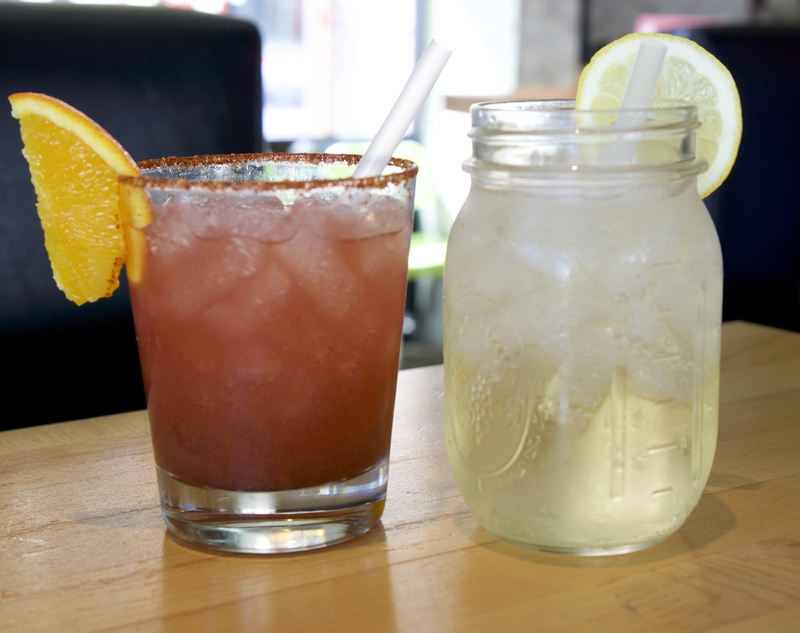 We also tasted the Sangrita and Bubbly Blonde Cocktails! Both were great! 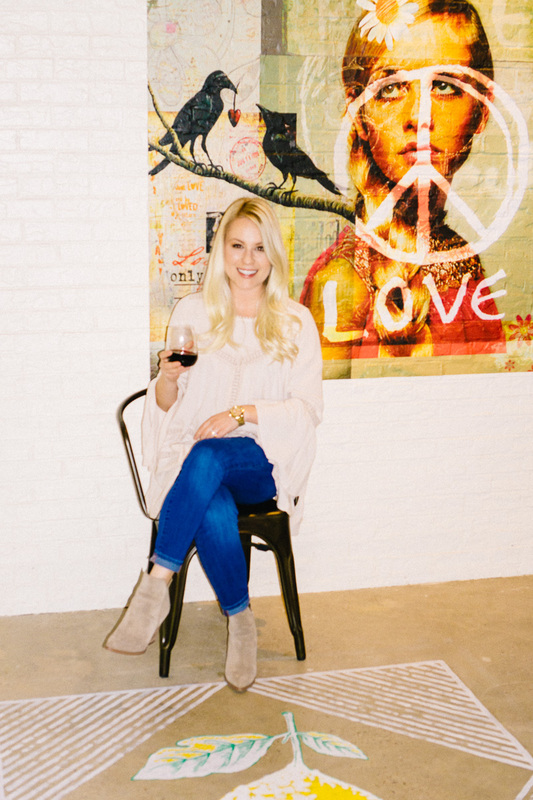 With a focus on community and all things local, this location even displays artwork from local Dallas artists. 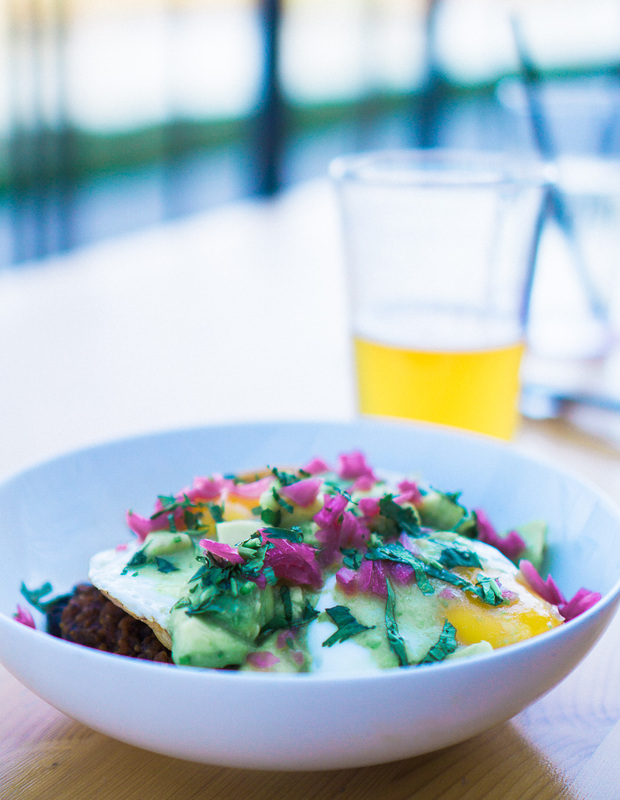 Hopdoddy gets an A+ in our opinion and we’ll be back. Especially for their truffle fries and milkshakes! 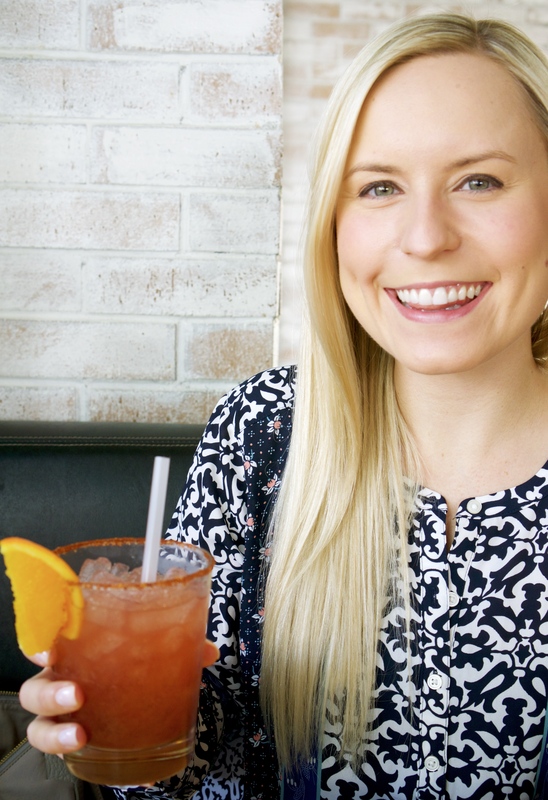 A big thank you to the Hopdoddy team for treating us to a super yummy lunch featuring their new, fresh menu items!